Children's Theatre Company is a nonprofit organization that relies on the support of our community members to keep our curtains rising. Help us continue setting the standard for excellence in theatre, arts education and accessibility by making a donation to CTC today. CTC donors receive behind-the-scenes experiences and insider access with their donor benefits. Learn more about donor benefits HERE. Children's Theatre Company is a 501(c)(3) nonprofit organization. Our Federal Tax ID is: 41-1254553. Questions or concerns? 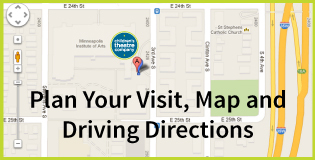 Please contact Sarah Marrs at 612.872.5195 or smarrs@childrenstheatre.org.